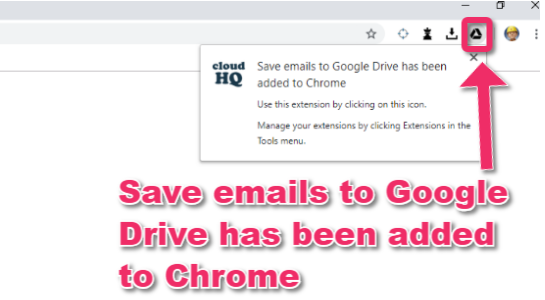 Start by installing cloudHQ’s Save emails to Google Drive: https://chrome.google.com/webstore/detail/save-emails-to-google-dri/glgaegbgegomicnedooifcbnmppmofkf. NOTE: To see settings, please check this Save emails to Google Drive – Settings. NOTE: To see export format, please check this Save emails to Google Drive – export format. NOTE: To see format for email messages filename, please check this Save emails to Google Drive – format for email messages filenames. NOTE: To see format for attached filenames, please check this Save emails to Google Drive – format for attached filenames. 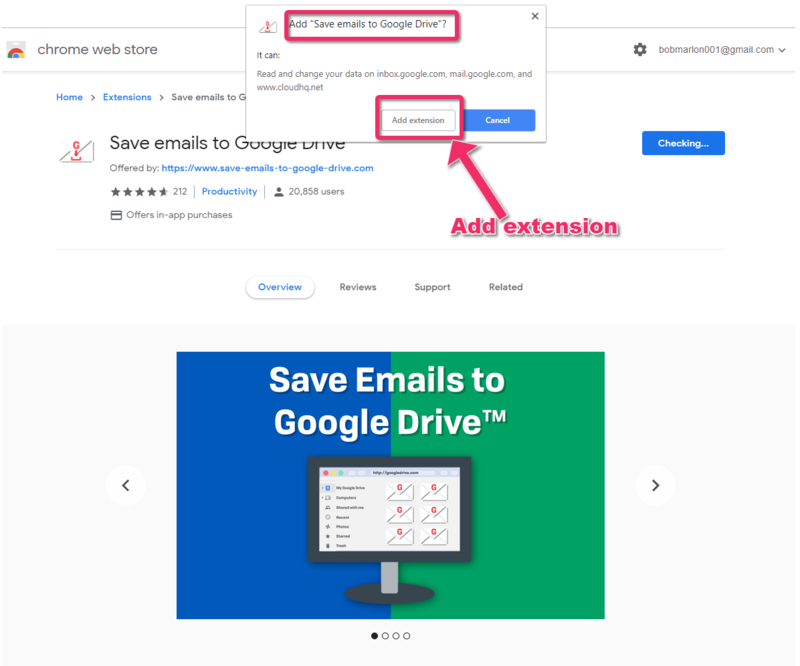 NOTE: If you want to save a signle email as PDF to Google Drive, please check the following support note: How to save a single email as PDF to Google Drive. NOTE: If you want to save multiple emails as PDF to Google Drive, please check the following support note: How to save multiple emails as PDF to Google Drive. 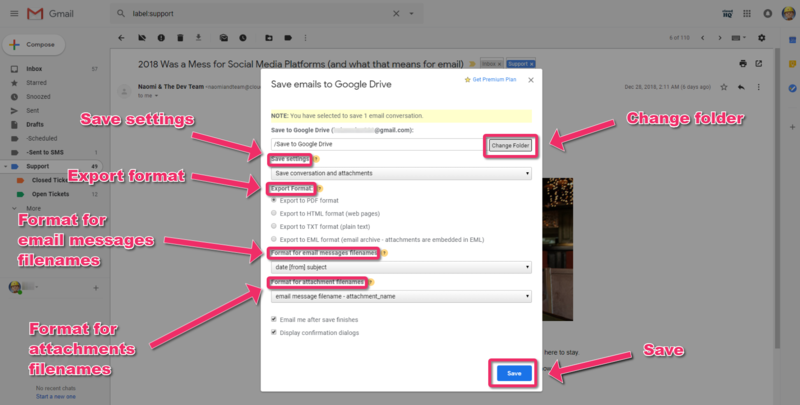 NOTE: If you want to automate saving of multiple emails to Google Drive, please check the following support note: How to automate saving of multiple emails (entire label or emails matching query) to Google Drive.